Ok, so we are rapidly approaching 2013, and that means time to start thinking about the changing of your organizer and calendars. Enter Plum Paper Designs. Have you heard of them? They have an extensive selection of planners, journals, and even a menu planner. I ordered a new planner for the new year and cannot wait to start putting it to use. (Not that I am in a hurry to rush thru the holidays though). I ordered the weekly planner. I love the design of the pages so that at a glance I can see my schedule broken down into sections of the day. It also has a handy pocket in the back of the planner for any scraps of paper, or loose items you need to keep track of. 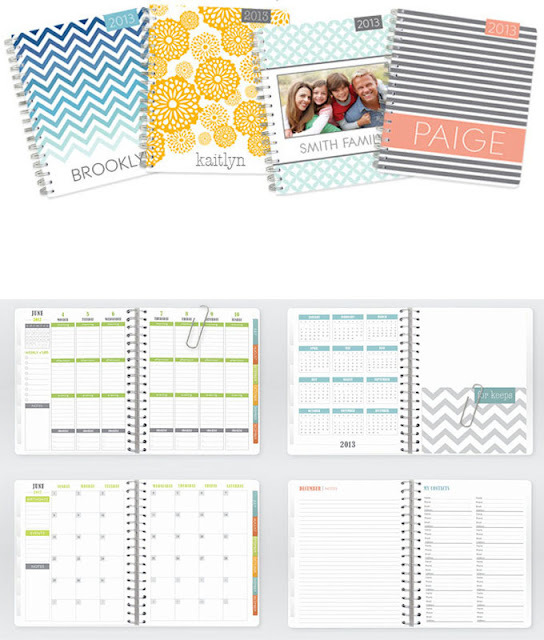 Plum Paper Designs is offering a 10% discount on any planner you order for the next month! We all need a new planner, so what are you waiting on? Hurry and place your order with the discount code PERIDOTSKYS10 at checkout! ahhh I need one of these day timers!!! Man I wish I would have heard of this company before I got my Maybook. These look so much better! Yes I was just looking for a new planner in Target the other day but I couldn't find the right one! so happy I did now! !